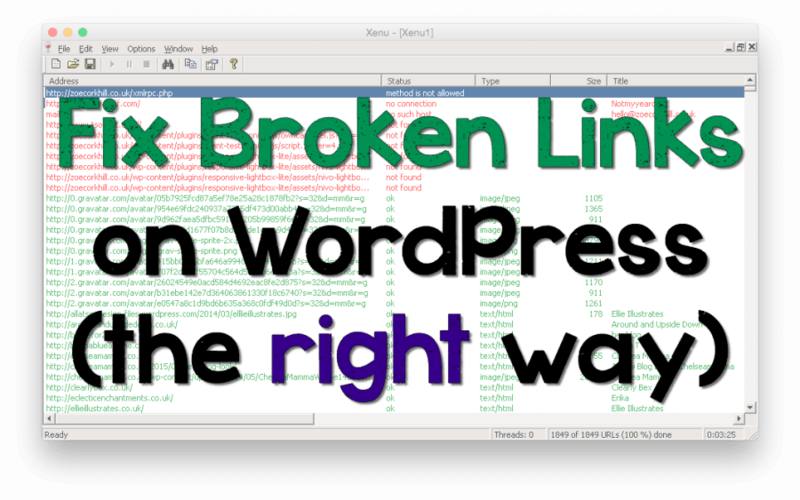 Please, please, please, I cannot stress this enough – do not install the Broken Link Checker WordPress plugin! I see so many recommendations that people install this but it can really slow a site down, it is a real resource hog and also adds a lot of bloat to your database. There are several great (and free!) 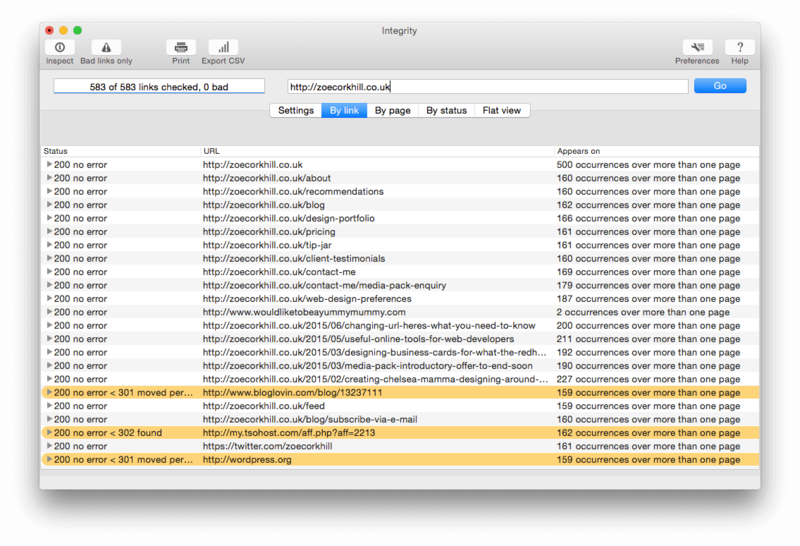 ways to check the links on your WordPress site without slowing it down so much. These are all external tools, meaning they work either on your computer or another website (so not on your host server). 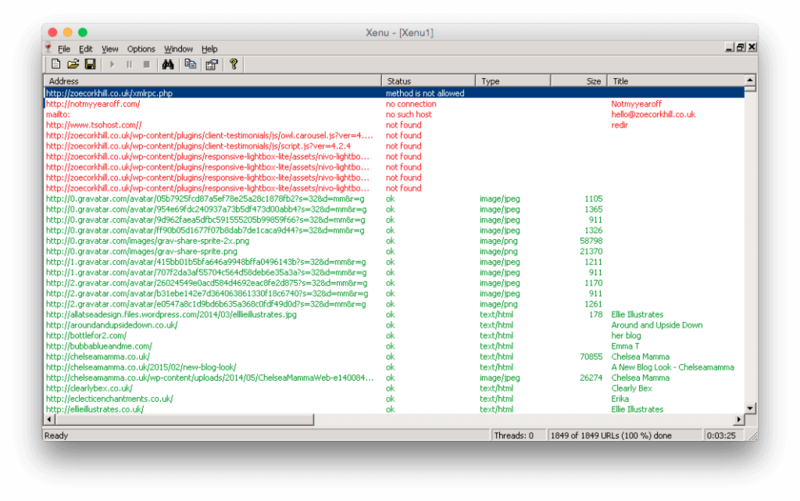 This is the tool I use to check my sites. Now, before you start running checks on Mama Geek to catch me out, I’ll admit I haven’t been vigilant – but I do have a list to sort through when I find the time (ha!). Even though I don’t always practice what I preach, when I do find the time, I use Integrity. It’s handy as you can export a list to work through at your leisure, and also view your broken links by frequency, look at the links by status or by page, and it works really nicely with WordPress sites. In my experience it is quick – although huge sites will still take some time, and it does also depend on your processing power etc. It seems fairly quick to run and very comprehensive, and spits out a long list of all of the links on your site, and their status. From here you can browse through the list and sort out any issues. 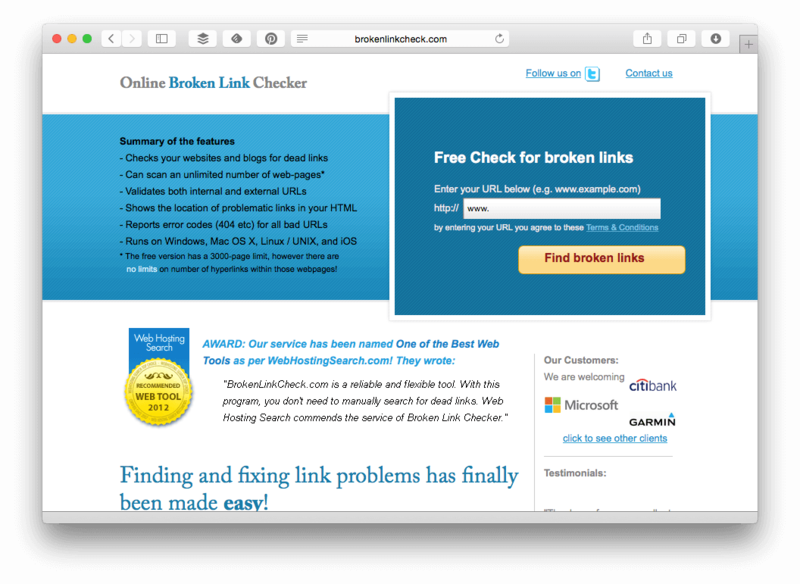 Broken Link Check will check up to 3000 pages on your site for you, and then list all of the broken links that it finds, together with the url it found the link on, and it will even pop up a window highlighting where in the html source of the page it found the broken link. To be honest, fixing broken links on a blog with a lot of comments and links in the content is a lot of work, especially if you’re tackling the problem for the first time since you started your site. So why bother? A lot of people don’t think it is worth the effort, but if you keep on top of things then I think your site seems better maintained and more relevant without too many broken links. Linkrot is not a nice condition for a site and creates a bad user experience – people might not want to return to your site if things like product links in reviews are out of date. As for SEO, opinion is mixed on whether fixing broken links is important. Broken internal links are definitely important as too many 404 errors can have a big effect on your Google ranking – but external links? The jury still seems to be out on that one. Google actually says to “check for broken links” as best practice, but doesn’t specify whether it has an effect on your ranking or not. Personally, I think that user experience is important – and also, visitors will not return to your site if it seems out of date and riddled with bad links, which will have a knock on effect on your popularity and eventually your ranking as well. Whether you think that is worth the effort is up to you – just please don’t slow your site down while doing it; avoid that plugin!